ok this morning the sun quite bright and I see my bougainvillea blooms up, Oh.. I melted. : ) so now have good mood to write something with you. 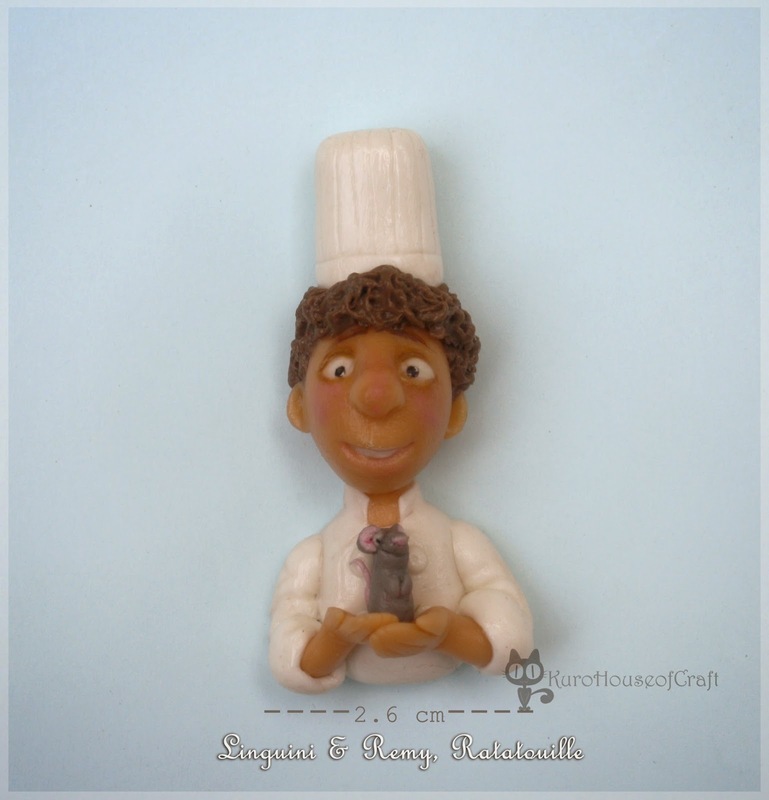 about 2 weeks ago, while working on some craft projects someone asked me to make some 2D head cartoon characters from clay. Although I was very busy, but I can't pretend that I love cartoon so much, and make all of them make me back to precious memory when I was kid. They are Brother Bear, Koda and Kenai. 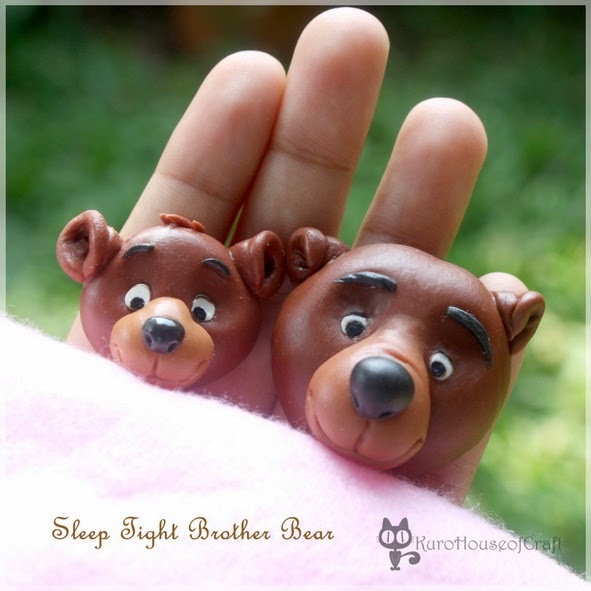 Two bear that love each other just like brothers. so I took their picture in my hand and one pink felt blanket (actually they only heads). Oh I imagine one day I would have two kids who love each other too.. "Sleep tight brother bears..mommy love you"
Uncle Scrooge or Paman Gober is one of my favorites. For me he is not stingy man but he look like tough man and consider all things to minimize any risk in life. But of course seeing uncle scrooge remind me that money matter but doesn't matter compare to happiness, love and family. 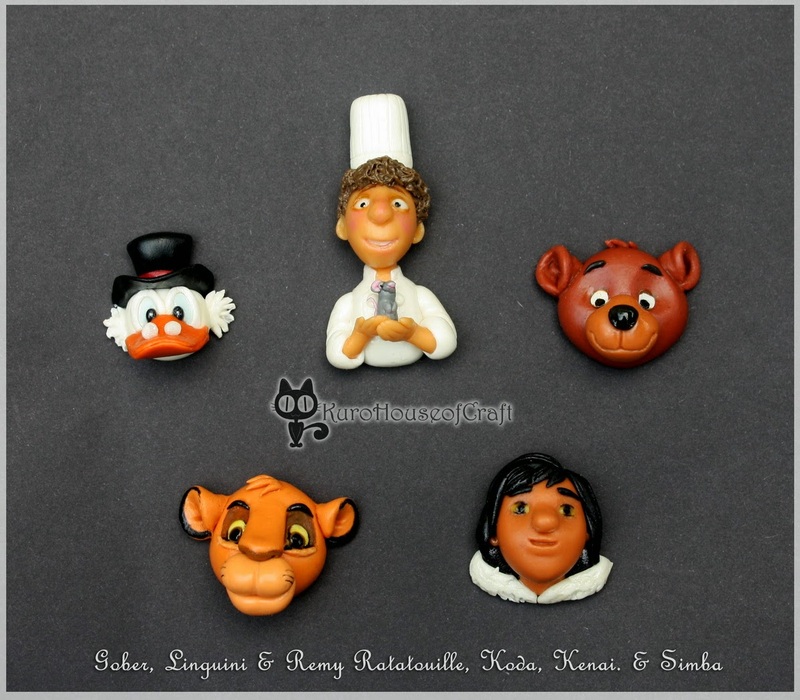 for above clay cartoon head, I used Thai clay you can click to see my review. and Acrylic painting for colors. Hm.. many things I would like to share, I hope I have more time to spend writing good things to share with you friends.